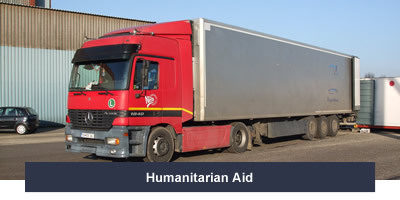 Periodically we rent a big truck with trailer to bring 100 cubic meters of help goods, bearing in mind to send the best quality and reckoning with their needs. 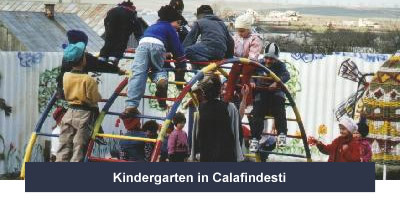 Next transport contains besides many other goods: school furniture for our recent kindergarten project and much furniture for poor families support. We are convinced that in the far future we can bring goods to Eastern Europe from our abundance, there are still areas out there where painful poverty rules. From Hungary: a request for food-parcels reached us to provide for poor families. 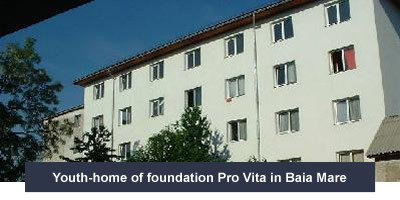 Cooperate with foundation Pro Vita in Baia Mare to rebuild an apartment building to provide shelter for 17 year old orphanage youngsters, providing bed, bath and bread. Helping with their study or finding work to function as good citizens in the future. This program works since then and we visit them yearly still bringing small quantities of goods. If you want to visit this place: 2 six persons- rooms are kept free for tourists against a surprisingly cheap price. Your support is very important. Rebuilding the kindergarten behind the Baptist church in Calafindesti (Suceava area) providing a central heating system, drinking water system, toilets in the building; double glass all around. Outside insulation of the walls and inside insulation of the roof because severely low temperatures in winter. This all together creates the situation that the kids can go to school in winter too. 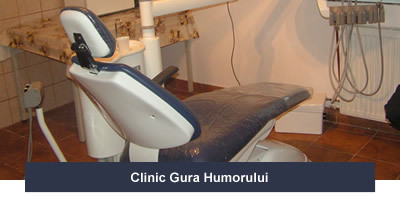 Providing free medicines and dental treatment for poor people that cannot pay. The building was fitted with double glass windows, toilets, central heating and drinking water installed, redecorated, equipped with insulation under the roof and outside walls. For the dentist we were able to buy a complete second hand dentist equipment.